The Patriot Hellfire M.2 Next Generation Form Factor (NGFF) SSD is the perfect solution for consumers and professionals looking to get blazingly fast start up times and instantaneous access to their data. Powered by the Phison 5007 controller, the Hellfire M.2 uses an ultra-fast PCIe 3.0 x 4 (up to 32Gb/s) NVMe 1.2 interface to deliver enthusiast-level read and write speeds for professional content creation, video editing, gaming, CAD development, scientific applications, or power users who demand the fastest SSD performance on the market because they just have to have it. To ensure the Patriot Hellfire M.2 SSD provides rock-solid performance, static and advanced wear-leveling, advanced garbage collection, TRIM support, bad block management and S.M.A.R.T technologies are built in. At 22mm wide by 80mm tall (2280), the Hellfire M.2 is the best solution for all-in-one PC kits, notebook upgrades, or small form-factor, high-performance gaming PC builds. 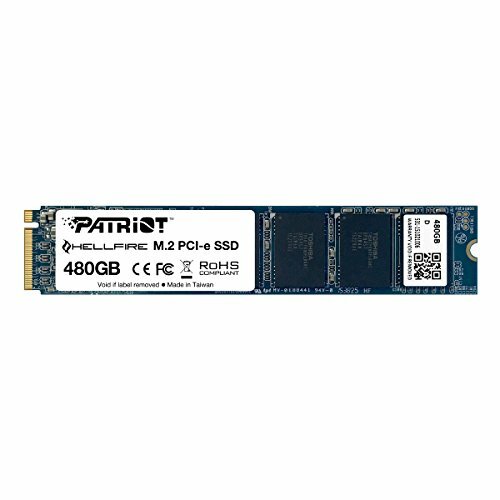 Backed by Patriot's award winning build quality and 3-year warranty; the Patriot Hellfire M.2 SSD delivers one of the most reliable choices in performance class SSDs. If you have any questions about this product by Patriot, contact us by completing and submitting the form below. If you are looking for a specif part number, please include it with your message.